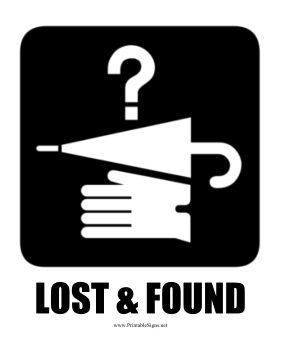 The question mark in this printable sign represents a person who is searching for a lost item. The umbrella is the missing item that cannot be found. The hand represents the person picking up their lost item from the lost and found. It can be displayed in schools, churches, offices, and gyms.